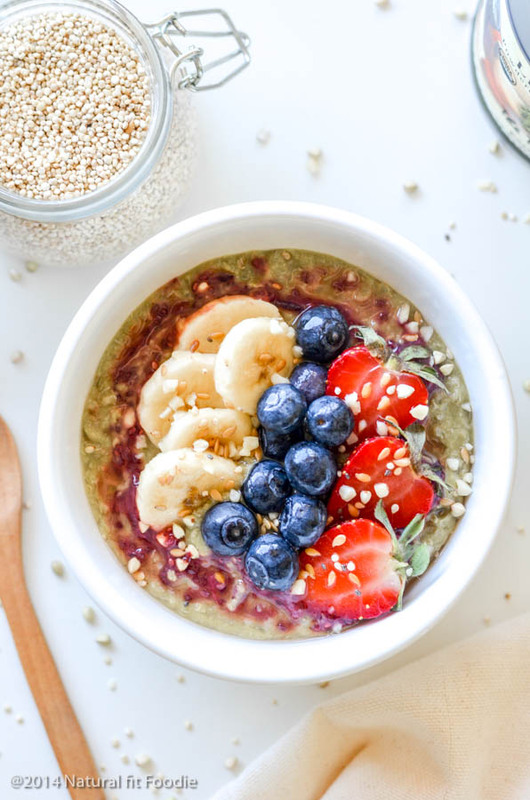 This rich and creamy quinoa flakes porridge with matcha is a great oatmeal alternative that will keep you full and satisfied. Quinoa flakes are to quinoa what rolled oats are to whole oat groats. Quinoa ﬂakes are created by steamrolling the whole grain kernel. 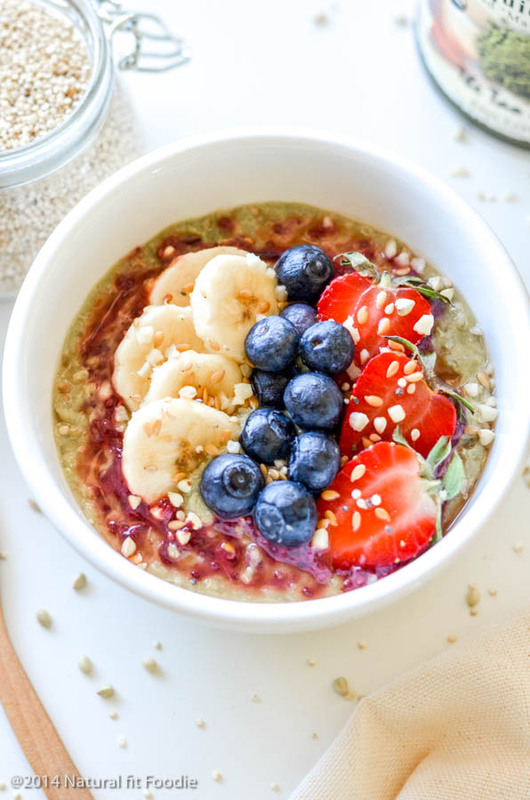 As a result quinoa flakes cook much faster than regular quinoa making it perfect for an instant quinoa flakes porridge. 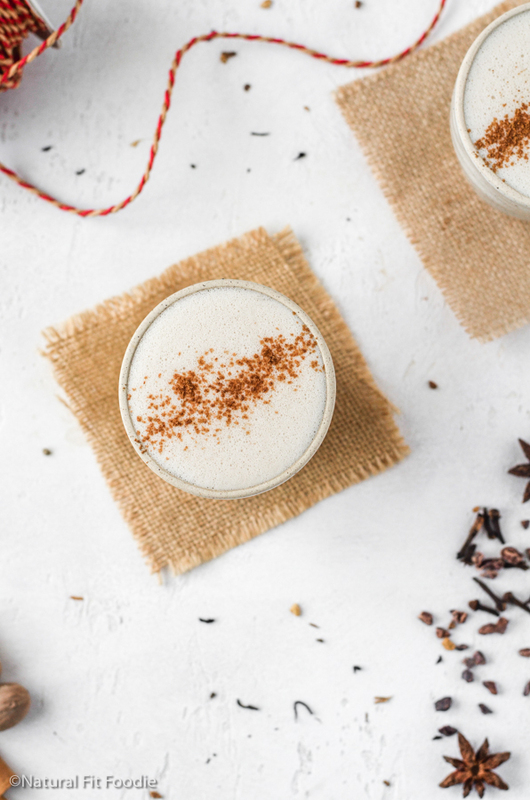 What can quinoa flakes be used for? Quinoa flakes porridge of course! 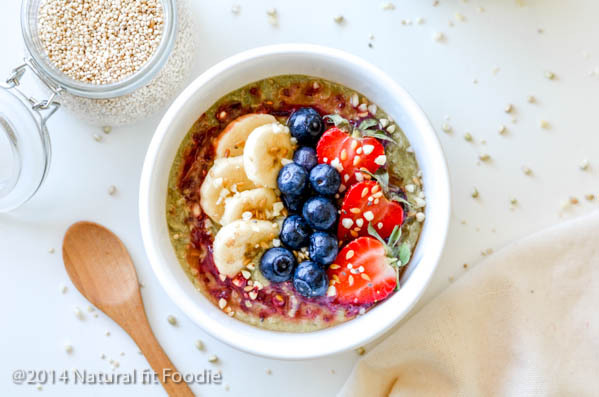 Are quinoa flakes and quinoa the same? Quinoa flakes are quinoa that has been rolled into a very thin flake. 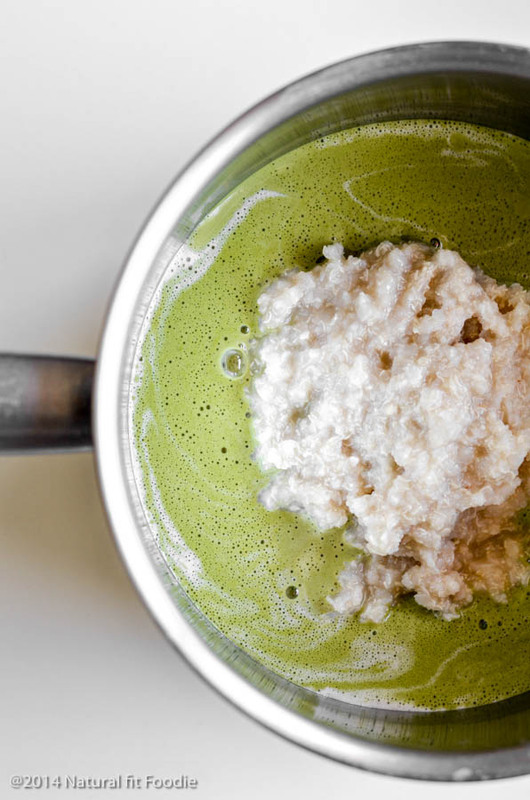 This quinoa flakes porridge with matcha couldn’t be easier to make. 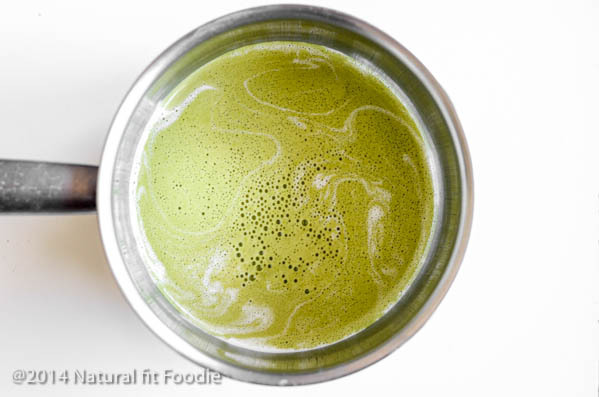 First you warm one cup of plant based milk with the matcha green tea powder on the stovetop. Let that cook for about 2 minutes and presto! 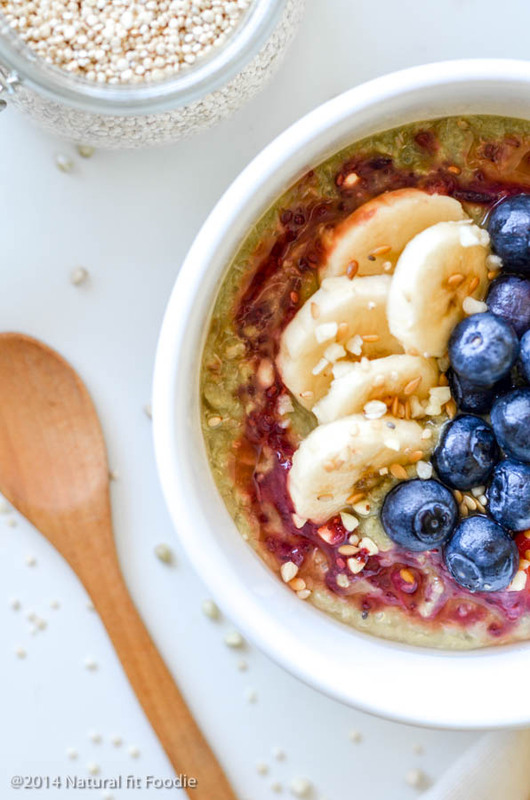 Your delicious comforting porridge reminiscent of cream of wheat is ready for you to enjoy. 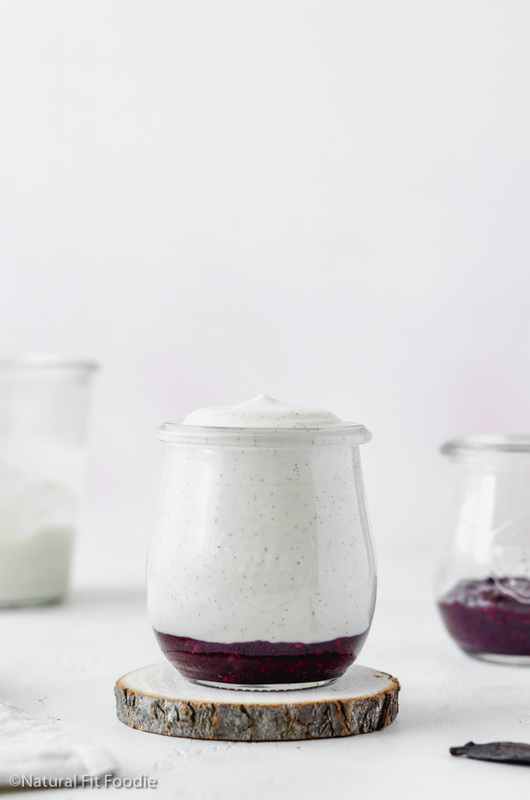 Of course you’ll want to add some yummy toppings like fruit, chia seed jam, nuts and seeds. I have found quinoa flakes at my local health food store but you can also buy them online. 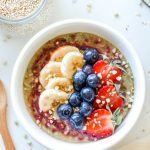 You can make this quinoa flakes porridge overnight the same way you would do overnight oats by mixing all the ingredients in a mason jar the night before and popping it into the fridge. The next morning you may need to add a bit more milk or water if it’s too thick. Eat it cold or warm it up. Should you rinse or soak quinoa flakes? It is my understanding that commercially produced quinoa flakes like Ancient Harvest go through a process of washing to get rid of the bitter tasting saponin before they are steam rolled. For this reason there is no need to soak, wash or rinse quinoa flakes before use. Because I am such a creature of habit, I did rinse mine in a cloth strainer before cooking. If you try quinoa flakes and they taste bitter it probably means that particular brand does not undergo this process.